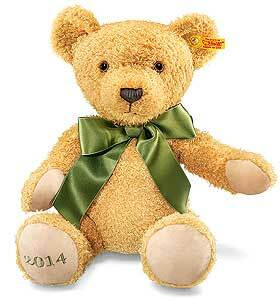 Steiff 2014 Cosy Year Teddy Bear, 663604 is made from the finest golden brown plush. A lovely piece with the famous Steiff gold coloured Button in the Ear and is a Limited Edition of 2014 year production pieces for the UK and Ireland. Surface washable only, Size 38cm.